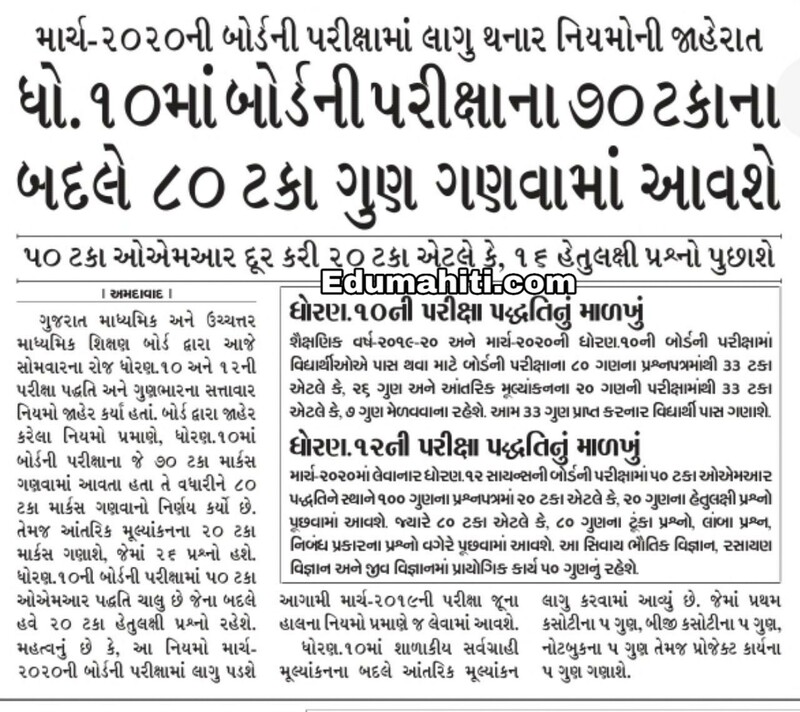 GSEB Exam Updates : Std 10 Ma Board Exam ma 70 % marks Ni Jagyae have 80% Marks Gamade. 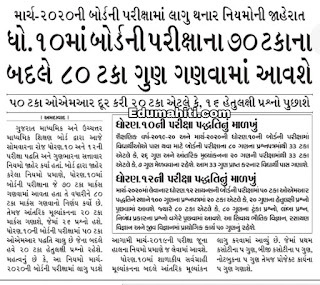 →GSEB Exam Updates : Std 10 Ma Board Exam ma 70 % marks Ni Jagyae have 80% Marks. →This paper System Approved march - 2020.